Holga was originally a 120 roll-film camera designed in the early 80’s for the working class in China to document their daily lives. The original Holga 120S uses 120 film and can either shoot 6×6 or 6×4.5 (with a supplied mask), has a 60mm f8 single element zone-focusing wide-angle lens, a single shutter speed, two apreture settings plus a hot-shoe. However, the 120S had never been popular in China because at the time of its introduction, 120 format was being replaced by the more convenient 35mm format. These simple plastic toy-like cameras were then exported to the west and soon attracted a cult of followers who admire the uniqueness of the low fidelity Holga photos. An improved version, 120N was then produced with an additional B shutter, tripod mount and slightly better film transport mechanism. 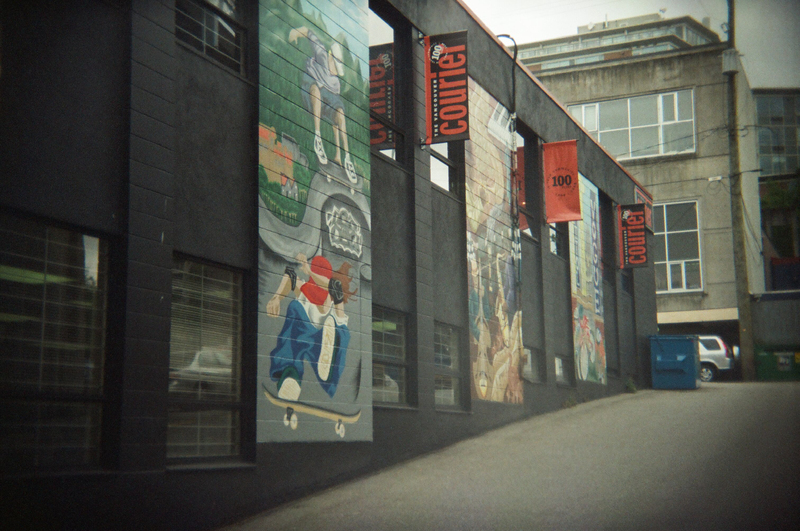 The Holga 135BC above is basically a 35mm version of the 120N. Instead of a wide-angle lens, the 135BC has a 47mm f8 single element normal lens. Threads for cable release on shutter release button is now standard (120N requires an optional adapter to use cable release). In certain aspects, the 135BC is a much better camera than the 120N. 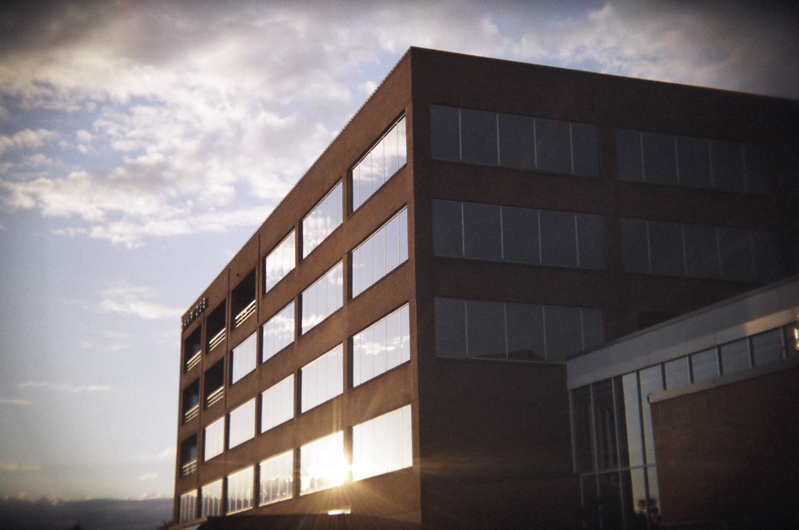 First, I have never had light leaks with this camera. Second, there is a frame counter on the top and film winding automatically stop at the next frame. 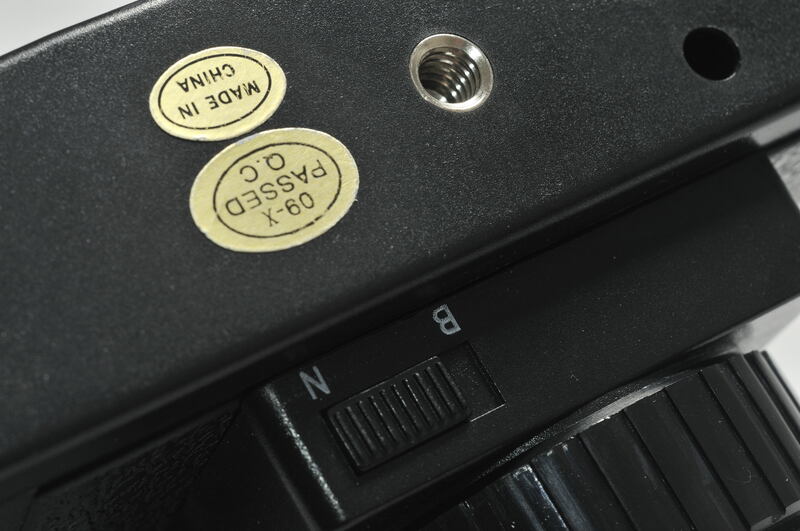 For the 120N, you need to rely on the red window (in which itself a source of light leak) on the camera back to read the frame counter index on the back of the film. 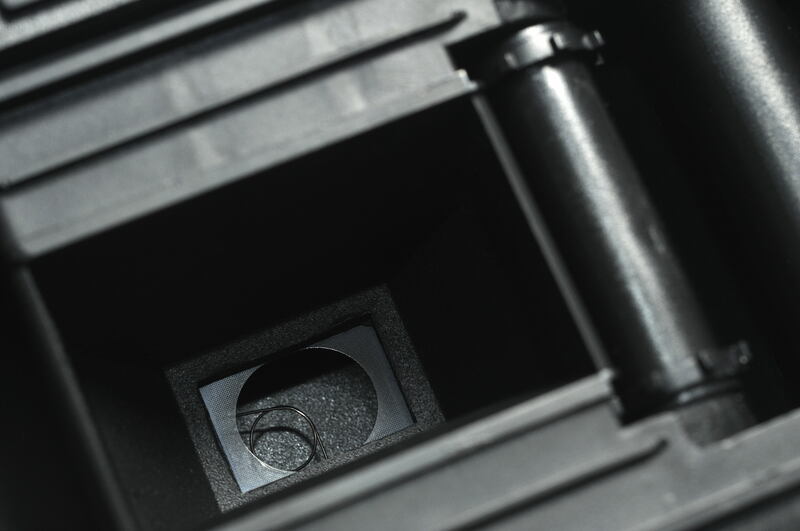 Moreover, the 135BC has a pressure plate on the camera back to ensure the film plane is parallel to the lens. Of course, the most important advantage over the 120N is the development and printing of 35mm negatives are much more convenient and economical than the 120 format. 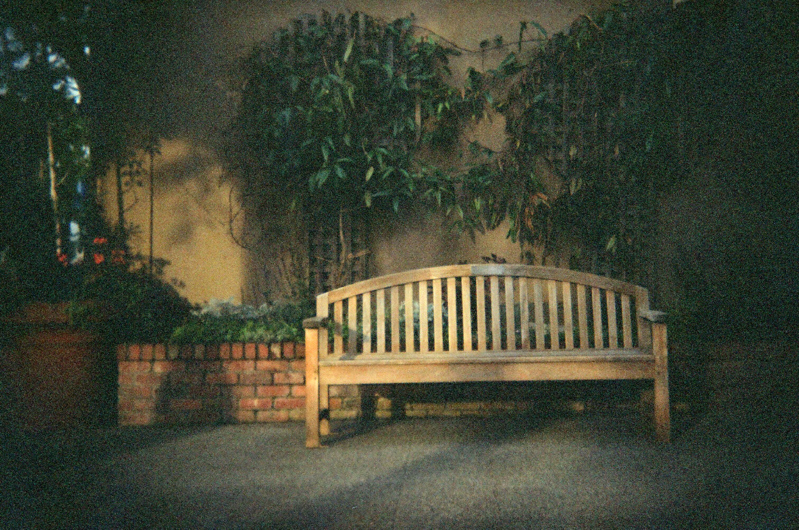 While the lens of the 120N exhibits heavy vignetting, the image circle of the 47mm lens on the original 35mm model (Holga 135, without the “BC”) covers the whole 24x36mm area of a 35mm negative. Thus, the 135BC is introduced with a semi-transparent mask at the back of the lens to re-create the vignetting effects of the 120N. Although the 135BC is in many ways better than the 120N, it does inherit some great features from the 120N. One of these features is the B shutter. A 135BC mounted on a tripod with a cable release attached will extend the reach of this creative tool into the night world. This is not a feature you will often find on other toy-like cameras. One thing worth mentioned about the Holga 135BC (and should also be true for other Holga’s) is the sync circuit of the camera will trigger the flash twice. This might not be a problem for a simple shoe-mounted flash but if you want to try out the Holga with studio strobes, either mono-heads or power pack systems, then you need to be very careful on this. I haven’t try using the Holga with studio strobes, so if any reader has such experience, you are more than welcomed to leave a commment. This entry was posted in Viewfinders. Bookmark the permalink.